Is Professor Sinn worth listening to? A frustrated Harry Truman would often say, “Give me a one-handed economist. All my economists say, on the one hand…on the other.”1)The one-handed economist, The Economist 2003-11-13. 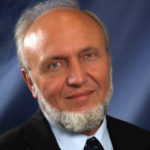 At present, too, the media are clearly in search for a man who holds strong views and they have surely found one in Hans Werner Sinn, professor emeritus, who has published and continues to publish an avalanche of texts, is frequently interviewed by the mass media and remains one of the renowned German economists. He made himself famous formulating a hypothesis of a bazaar economy by means of which he attempted to clarify why the German national product is shrinking despite the fact that the country has been on top of the list of the exporting countries.2)Hans-Werner Sinn (2005): Die Basar-Ökonomie. Econ Verlag. ISBN 343018536X.His books, too, have made the headlines (e.g. Can Germany Be Saved? The Malaise of the World’s First Welfare State (2007) and The Green Paradox (2011))in which he voices his protest against the energy transition and advocates a policy of strict regulations regarding banks. In numerous interviews Sinn has taken a stance on politics, now giving support to the ruling class, now endorsing the opposition. For that matter he praised Agenda 2010.3)Die Agenda 2010 und die Armutsgefährdung.His statements and comments have since 2015 evoked such uneasiness among the ruling elites that finance minister Wolfgang Schäuble began to call him in private “Professor Nonsense”, while Angela Merkel broke off the relationship with him although he used to be a welcome guest in the chancellery.4)Der verbliebene unabhängige Denker, Internetkanzlei 2012-07-23. What aroused such anger on the part of the most popular German politicians? It began in 2012 as Sinn together with 200 other professors voiced his opposition to the decisions taken at the EU-summit. They all issued a warning against the ESM Programme for Greece, which boiled down to nothing other than a joint liability for the debts of the EU banks. Later Sinn also criticized the bail-outs for Greece, as the country in question received a total of €350 been, which is twice as much as Greece’s GNP. There was hardly a country in human history, noticed Sinn, that has received such a massive support which was of no avail and only slowed down the process of regaining the country’s economic competitiveness. He also advocated Grexit, which did not meet with approval in Berlin. His interests focus also on indebtedness. He was the first to notice the danger posed by the growing Target2 balances.5)Target-Salden drängen Deutschland an den Abgrund, Management der Zukunft 2012-03-05. Sinn attracts attention with his view that debts within the European Union ought to be collectivized and he draws a comparison between the situation in Europe and that in the USA, where, when it transpired that California had gone bankrupt, the FED refused to give it a helping hand. Without credits, The Californian government was simply compelled to adopt austerity measures. When creditors fear that they will not receive their money back, they either deny credit or raise interest. Sinn is reported to have said that the same policy should be pursued by the EU, whereas the ECB ought not to have been allowed to purchase government bonds from the indebted countries. The aid provided for South European countries by the ECB, says Professor Sinn, was in contravention of the provisions of the Maastricht Treaty6)Hans-Werner Sinn im InterviewIfo-Chef Sinn: “Es kann kein vereinigtes Europa geben mit 28 separaten Armeen”, Focus Money 2015-12-27. Sinn joined those economists who compare the measures taken by the ECB with the communist-style planned economy, which jarred on the nerves of the Chancellery and the Main Tower. The similarities are striking: whenever the central committee of a party decided to assign funds to an investment, no one asked questions whether the investment would bring in profit. Likewise, the ECB offers the investors who purchase government bonds a full guarantee. The savings from North European countries are channelled to the south, where they are used in an unproductive way. The South European countries which are not able to accumulate capital on a free market receive money from the ECB with which they are supposed to promote their exports. Thus the policy pursued by the ECB is fossilizing stagnation.7)Die EZB steuert Europa in eine neue Planwirtschaft, Der Spiegel 2016-08-01.Economy inevitably runs into a problem of mingling with politics rather than concentrating on principles, said Robert J. Shiller, a Nobel Prize winner for economy.8)Ist Ökonomie eine Wissenschaft? Handelszeitung 2013-11-30. 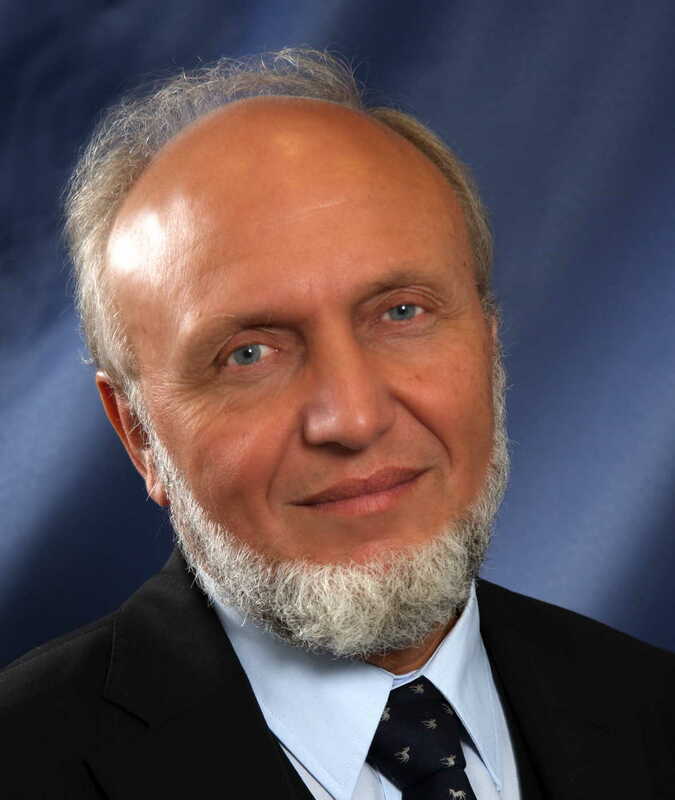 The same is true of Hans Werner Sinn, who has recently been eagerly voicing his opinion on touchy political themes. The migration crisis is a point in case. Sinn says Germany is accommodating too many arrivals and grants too many asylums. 2/3 of the Syrians are for all practical purposes illiterate whereas Germany is in need of skilled manpower. “The uneducated earn little and contribute little to the society in the form of taxes, out of proportion to what they receive in the form of benefits.”9)„Flüchtlinge verschärfen Probleme des alternden Sozialstaats“, hanswernersinn.de 2016-03-18. Merkel misunderstands the Geneva Convention, says Sinn. Germany is not obliged to welcome people because of civil wars. “If we wish to admit all the displaced people from Africa because they suffer from internal conflicts, we will soon run out of technological and social resources and capabilities.”10)Technischer und soziologischer KollapsIfo-Chef Sinn: Zuwanderung von Bürgerkriegsflüchtlingen stoppen, Focus 2016-03-18.Migrants should be helped in their neighbouring countries. That explains why Sinn is often quoted by the NPD.11)Facebook. Which is not to say that he distances himself from the ideas advocated by the left, like those propagated by Sarah Wagenknecht.12)Sinn hält viele Ideen Wagenknechts für „plausibel“, Welt 2016-04-13.Doubtless, Professor Sinn knows how to skilfully use the mass media for his own purposes: he expresses varied political views, he knows how to arouse the common man’s curiosity about the complex economic problems, though sometimes he offers simplistic answers (e.g. his computation that each migrant costs €1800 annually),13)“Ich vermute per Saldo immer noch einen großen Gewinn”, Spiegel 2015-01-03.which only proves that all he cares about is to remain in the spotlight. A man his age can pose for whoever he wants, he may as well pass himself off as a good-doer.14)Sinn gibt keine Ruhe, FAZ 2016-04-24. 1. ↑ The one-handed economist, The Economist 2003-11-13. 2. ↑ Hans-Werner Sinn (2005): Die Basar-Ökonomie. Econ Verlag. ISBN 343018536X. 3. ↑ Die Agenda 2010 und die Armutsgefährdung. 4. ↑ Der verbliebene unabhängige Denker, Internetkanzlei 2012-07-23. 5. ↑ Target-Salden drängen Deutschland an den Abgrund, Management der Zukunft 2012-03-05. 6. ↑ Hans-Werner Sinn im InterviewIfo-Chef Sinn: “Es kann kein vereinigtes Europa geben mit 28 separaten Armeen”, Focus Money 2015-12-27. 7. ↑ Die EZB steuert Europa in eine neue Planwirtschaft, Der Spiegel 2016-08-01. 8. ↑ Ist Ökonomie eine Wissenschaft? Handelszeitung 2013-11-30. 9. ↑ „Flüchtlinge verschärfen Probleme des alternden Sozialstaats“, hanswernersinn.de 2016-03-18. 10. ↑ Technischer und soziologischer KollapsIfo-Chef Sinn: Zuwanderung von Bürgerkriegsflüchtlingen stoppen, Focus 2016-03-18. 12. ↑ Sinn hält viele Ideen Wagenknechts für „plausibel“, Welt 2016-04-13. 13. ↑ “Ich vermute per Saldo immer noch einen großen Gewinn”, Spiegel 2015-01-03. 14. ↑ Sinn gibt keine Ruhe, FAZ 2016-04-24. I am confused – during the article it seemed that although Mr. Sinn is sometimes not 100% right (like all of us), he does a good job in giving useful advice, pointing on problems and interest the public for economic problems. That is not a conclusion to that topic which someone could reasonably relate to. So please be clear: Is it worth listening to professor Sinn or not? And please again, make the con reasons WAY more clear. stuck up on himself, that whatever he writes, one must analyze his scribbles very carefully !! too many different mentalities, too many incompatible Economies, and too much corruption. Put up good ideas , then at the last shoot em down , all of em. This appears to be a manipulative process. Boo. Chris, keep listening to Professor Sinn. He is one of the few economists in Germany who understands the problem and is not shy to speak out the truth. The article above is mostly propaganda. The question “Is Professor Sinn worth listening to?” was not answered by the author because the answer is a resounding YES.